Know what you own, what to buy, what to reuse, and what’s gone missing. And know it right now. Manage your assets, cradle to grave. Receive, track, audit and dispose with confidence. Capture, reconcile and integrate asset data. 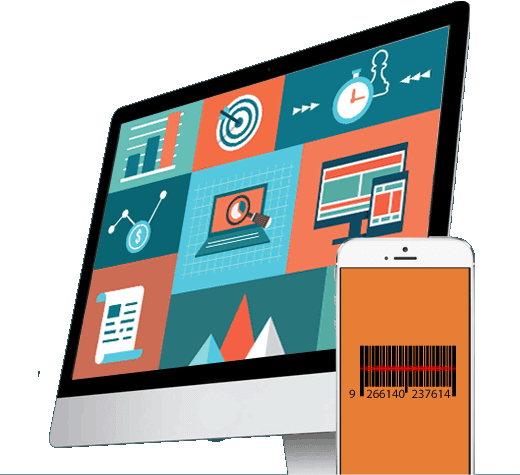 Customize and improve your process with barcode & RFID. Companies often buy assets they already have, when assets are not properly received and assigned to users. AssetTrack makes it easy to know what you have, where it lives, who’s using it, so you can buy only what you need. On average, 3% of your shipments become lost, stolen, or recorded incorrectly. Without proper tracking, you’re paying for assets you never received. AssetTrack 4 ensures you know exactly what you received, associating receipts to purchase orders, so that you pay only for what you receive. Government, financial, healthcare organizations, and others, operate under strict requirements to accurately track and manage their hardware assets. AssetTrack provides a simple cradle-to-grave asset tracking solution to maintain chain-of-custody control over your asset inventory. AMI helps companies succeed audits so you can avoid financial penalties. Asset management is about making good decisions using accurate information, affecting compliance, savings, security, and availability. Use AssetTrack to capture, track, reconcile, integrate, customize, improve and adopt your asset management process to make your important decisions rapidly.